Sorry not Pentax 6x7 that is NEXT on list to use up some of my large stash of outdated 120m fillum now I can carry 'Heavy Loads' a bit better. Been to Hospital today and X- ray on the 'join' showed NO leakage ! 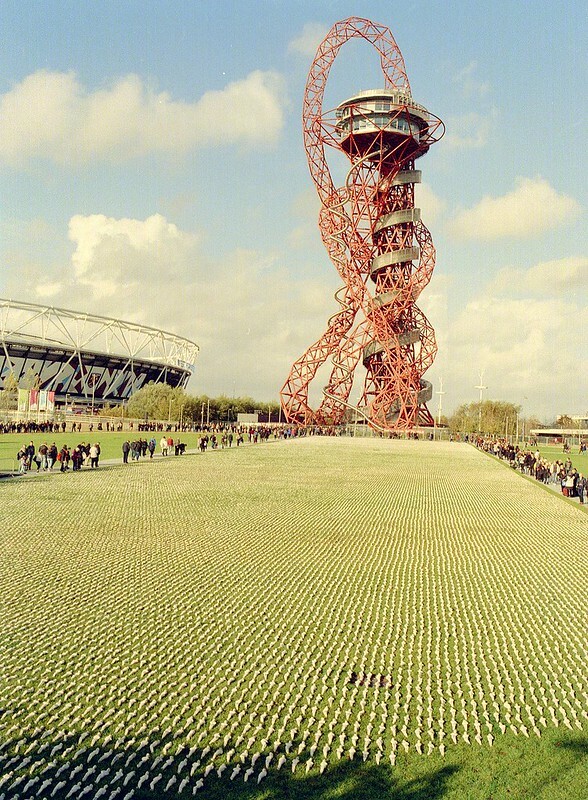 ANYWAY ---- went with Wife to Olympic Park, Stratford, East London to snap the display 'Shrouds of The Somme' -- over 70,000 figures hand-crafted -- took 5 years to do and laid out by The Army. It was very moving -- crowds of people silently filed past . 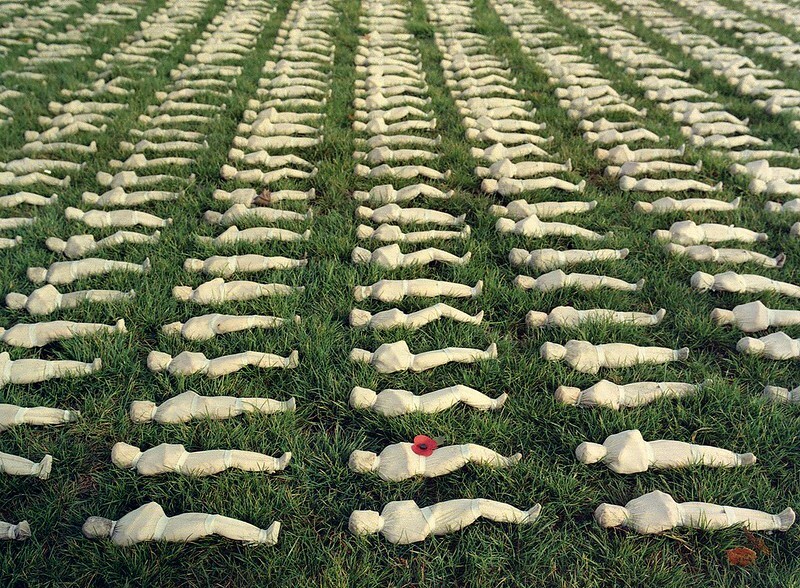 My Wife donated her RED POPPY to one of the Figures . I used the 50mm f4 Cfi Distagon T*, A16 back and outdated films XP2 400 Super and Konica VX 400 Pro and home-procesed in C41. The last one (in particular) is fab! Always great to see some film shots! 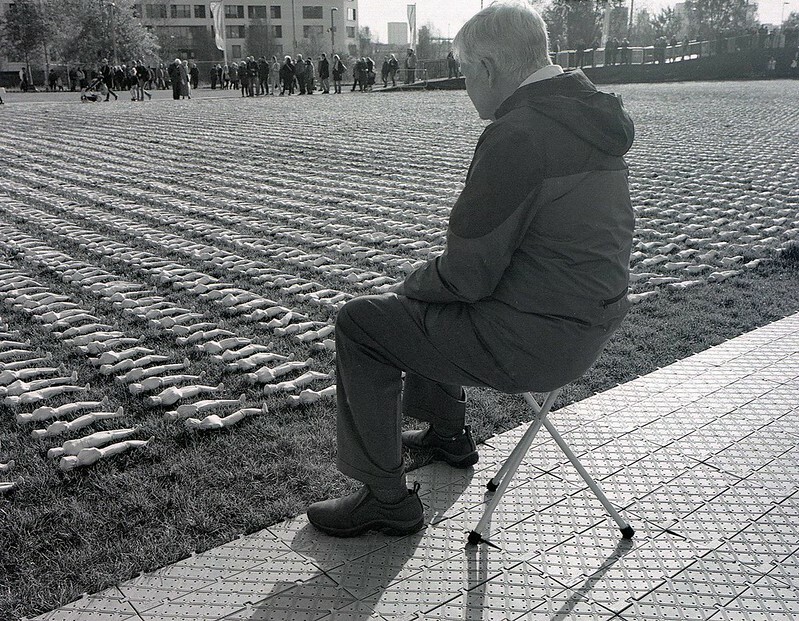 A poignant memorial and the last photograph says so much. Well photographed Peter. I think we can all identify ourselves as the subject in the fourth photograph. 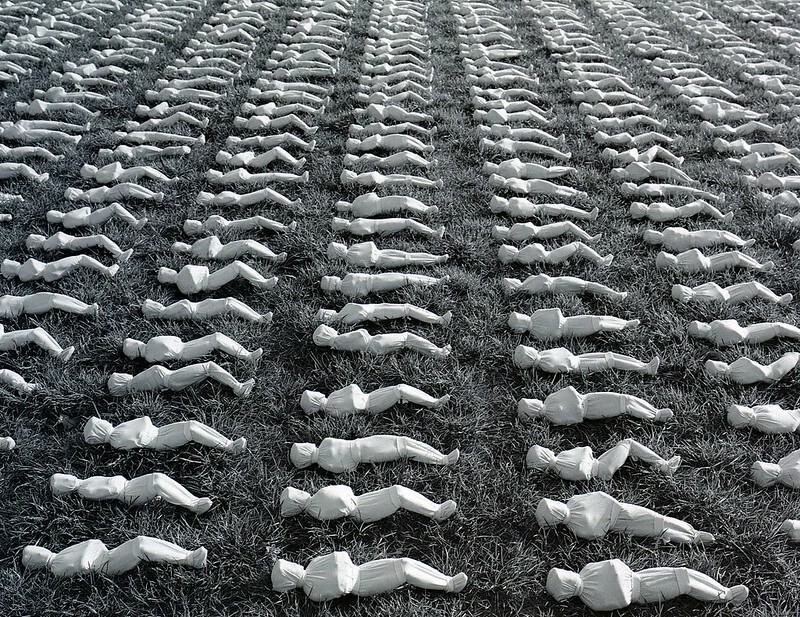 The photos and exhibit are a reminder of the insanity of that goes with war, in particular with reference to the pointlessness of 'The Great War'. Striking image's that certainly put things into perspective. Nice stuff Pete. can I Make a suggestion?